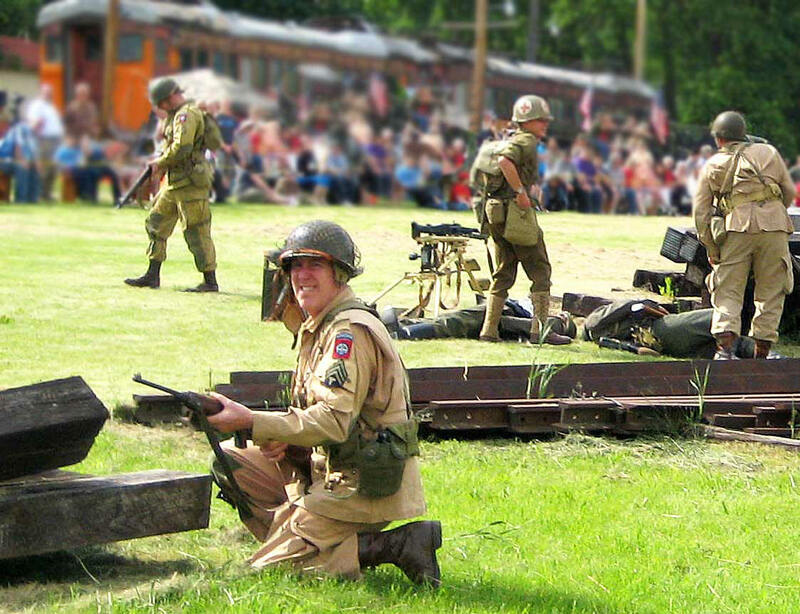 Remember our veterans this summer during the 70th anniversary of World War II by attending the Fox River Trolley Museum’s “RAILS TO VICTORY” WW2 Living History Reenactment Saturday and Sunday at the Fox River Trolley Museum. You can experience a World War II military encampment, view period battles on the banks of the Fox River, be a fan at an actual U.S. Home Front Baseball game with the Rockford Peaches made famous in the 1992 Tom Hanks and Geena Davis film, A League of their Own. Ride the museum trolleys into occupied France to experience the suspense and drama of the heroism of the American allies. Entry to the museum grounds is free and includes battles, military encampments, demonstrations and a Rockford Peaches baseball game. 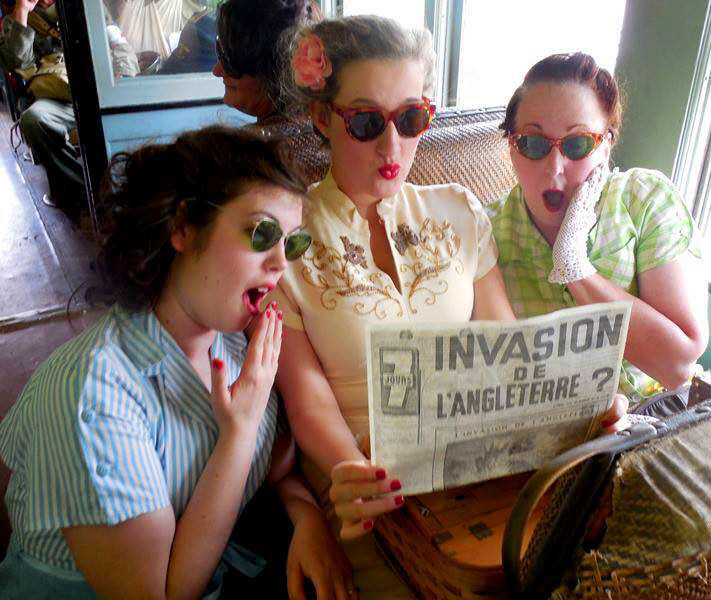 Trolley Adventure Tours into Occupied France on Saturday only: 10:30, 11, 11:30 a.m., 2:30, 3, 3:30 p.m., 6:30, 7, 7:30 p.m. Excursion Ticket Required. All-American Girls Baseball Game – Sunday Afternoon. Period WW2 Bicycle Parade & Trail Ride – Sunday Morning. SOUTH ELGIN PARKS & RECREATION DEPT.